Inside one of the classrooms in the middle of the day. It is so dark it is a strain to see anything! Matt Olliffe was a sponsor of a school in our Phase 3 with Tembea. He recently returned from visiting the schools himself and seeing the impact that the solar lights are having with the kids. In this video he explains the incredible impact on one student that really stood out to him. A classroom of kids shine their lights, showing just how much light they give off. Our success with this project has been mind blowing, and to a certain degree, unbelievable. However, when Matt Olliffe visited the program to see his donated money at work, he came back with confidence that the success being reported was true. We look forward to this program growing as the number of students in need of a solar light are almost unlimited! We are so excited for our partnership with Dandelion Africa. It is an incredible organization spanning across many needs in the Nakuru area. 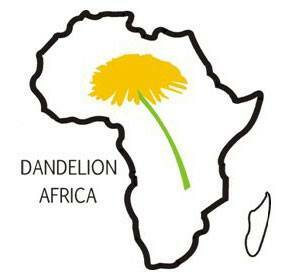 Dandelion Africa works directly in 15 schools and is very involved with the 'dandelion kids'. Wendo's (founder) passion and love for the children makes our partnership a perfect one to prosper and have a huge impact. We were able to supply 2000 children with solar lights, distributing majority of them ourselves. 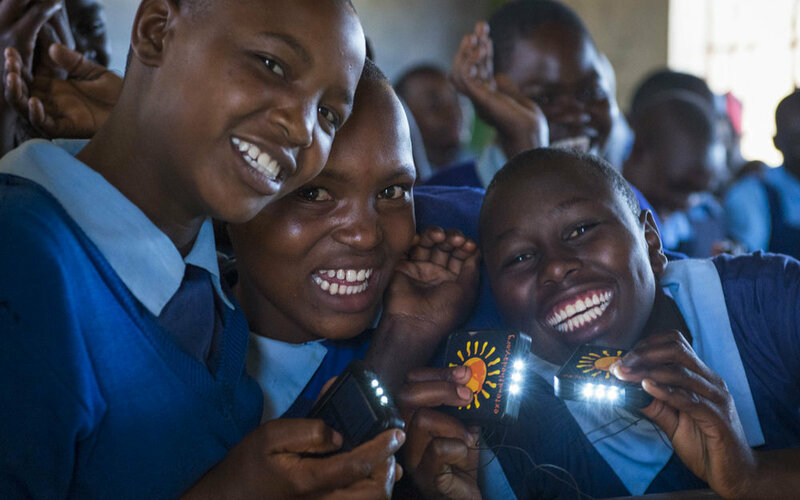 Hearing what the students go through to try and learn and complete their homework is heartbreaking, and such an easy fix by supplying a solar light! We have had a couple of sponsors join us on our field visits to this project. Its an experience where not only do you get to see the direct impact of the donation, but you get to enter into the lives of these young Kenyan children, their struggles, their dreams, their goals. The passion and desire to learn is so evident with the children. They know that it is their only option to make it out of the cycle of poverty and to make a difference to their lives and their families. We are only helping to supply a tool to make that passion and ambition more possible and easier. There has been schools established in the slums. As we were taken around the slums, we were invited into a few of the homes. Even though it was the middle of the day, inside of the homes were pitch black, except for the small beams of light peeking through the holes in the tin sheet roofs. The need for light here is great! Our time in Bangladesh was amazing! Tazin Shadid is the founder of Spreeha, an influential and incredibly successful organization that is helping provide health care, immunization, birthing assistance and education in the biggest slum in Dhaka, Bangladesh. 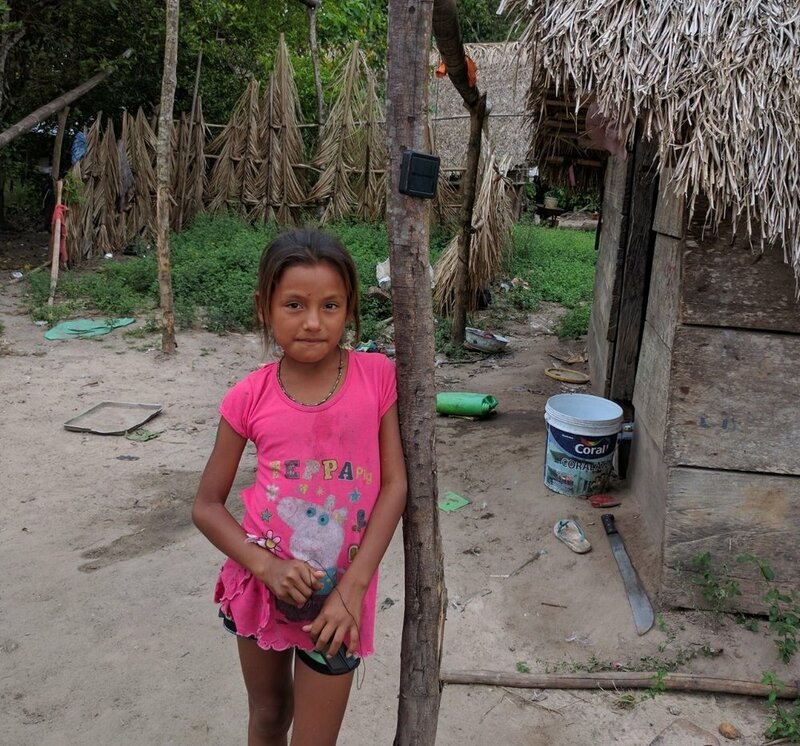 Even though they are in the city they do not have access to electricity or basic living needs, so our solar lights were very useful in meeting the needs of the children there. We currently have 2,800 solar lights distributed to the kids in this area. As the organization is set up there full time, the associates and social workers of Spreeha, will be able to monitor and evaluate the lights and the long term impact. We are so thankful for our partnership with such an incredibly successful organization like Spreeha! 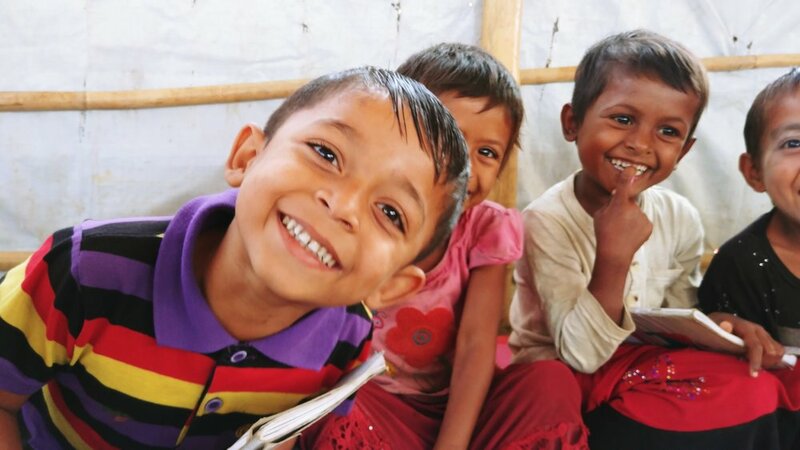 Our time in the Rohingya Refugee camps was an experience we have never experienced before! It is an overwhelming place, with the most heart retching stories, situations and lack of hope for the future I have ever experienced. We was able to spend quite a few days in the camps, getting to know the military helping run the camps, the families, and the children in the two new schools within the camp. The light distribution went very well. The military has a way that they distribute all of their supplies, and it worked fairly smoothly. The way that the military has set up is each family has a distribution card, where whatever they are given gets marked down on their family’s sheet, so there is a record of who received what and when. For a people who have nothing, have no way of earning or supplying anything for themselves, it was very controlled. We were able to supply 2,300 solar lights to the Unpinrang camp! That is 2,300 families! Also, 100 new students in the camp schools, they are actually excited to complete their homework! The ways that the families were describing the way they were going to use the light with such excitement, brought me to tears! The camps are pitch dark at night and making their way to the bathroom is nearly impossible! The fires they have to have within their little tarp covered homes for light is incredible toxic, smoke filling, and very dangerous for starting fast spreading fires through the camps! Also after almost 1 million people move into rice fields, there is not much for them to burn for light within their tarp homes. And even after 5 months, there is no natural resource for light left. Having a solar light enables them to hang the light and have the whole room lit! Our time in Nepal was incredible! We went to visit our partner organization, Rukmini Foundation, located in Pharping. The stories that we heard of the children in this village was proof enough to know that we had set up our project in a deserving area. The Extend the Day team distributed 300 lights to this area. This little girl in the picture to the left is a student at one of Rukmini Foundations schools. She is in 7th grade and she lives with her mother. Their little 10x10ft shake has no electricity, and the stream of smoke coming off the candle flame fills the small house quickly. Hearing her describe what it is like to have to study by candle light is heart breaking, the burning eyes, the coughing and tight breathing. When a light is shone on the walls, you can see where the line of black soot has stained the walls. The excitement in her eyes when she received the light was priceless! We had such a successful time in Myanmar! It was amazing to see a country that has only been open since 2011. The formerly “authoritarian and Soviet-style economic management” system that ran the country has been changed and the new government is making slow but steady moves towards a democratically run country. Andrew and Jo traveled with Dr. Moe to Kamarnut Village near Bago. Dr. Moe has very successfully established a school for children who cannot afford the uniforms necessary to attend the government schools. We met with the headmaster and teachers there and set up a "Light Library" where children can borrow a lights to read and do homework at night. 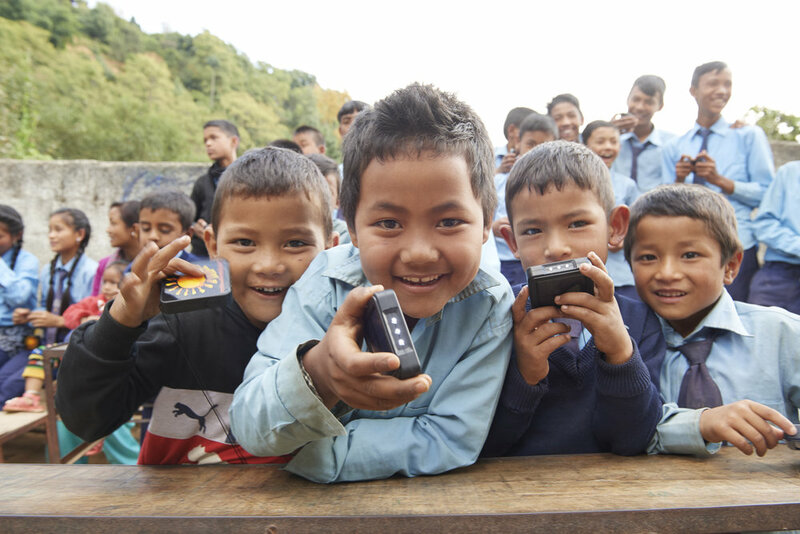 We left lights at two village schools in the mountains. The first school was located in Chaung Namhsan.